Japan through Japan International Co-operation Agency, (JICA) has agreed to fund the construction of the Nairobi rail flyover project which will link Enterprise Road to Nairobi Central Business District. 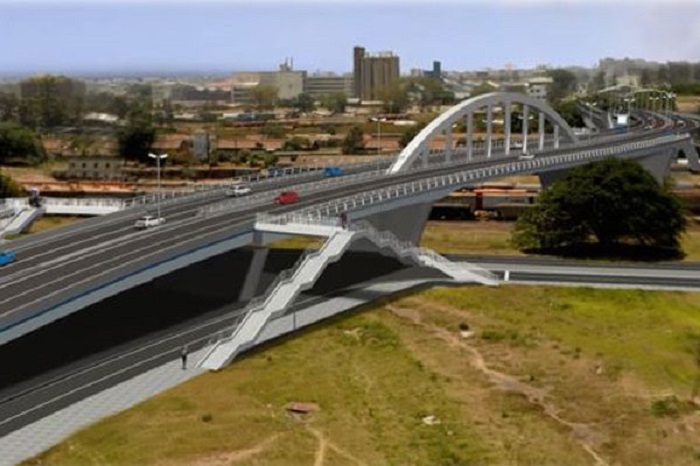 The rail flyover also known as a viaduct will be a long bridge-like structure, typically a series of arches, carrying a railway across a valley or other low ground will fly over the railway yard at the Nairobi Central Railway Station. Kenya Urban Roads Authority (Kura) acting director general Silas Kinoti, confirmed the statement and said that the project was identified in the Nairobi Integrated Urban Development Master Plan 2030 as a priority project to reduce traffic congestion within city centre and divert traffic from Mombasa Road. “At the same time it is intended to go a long way in expanding the CBD as well as alter permanently the Nairobi city centre landscape and give it a modern look,” said Mr Kinoti. “So far, several consultative meetings … have been held with stakeholders including the Muthurwa Estate residents as part of the ongoing RAP process,” he said. The Kura boss said, according to feasibility studies conducted in 2016, a section of the viaduct would be constructed on land currently occupied by Wakulima market but several other options have been identified to ensure traders are not disenfranchised during the construction period. He said Muthurwa Estate was identified as an alternative site for relocation of the market during consultations with various stakeholders including representatives of the Wakulima market traders, Nairobi City County government, Kenya Railways Staff Retirement Benefits Scheme (KRSRBS) and Kura. “The Project planning and study activities are part of an ongoing process that will give recommendations and inform stakeholders including the government of Kenya and JICA on the project’s viability,” said Mr Kinoti.